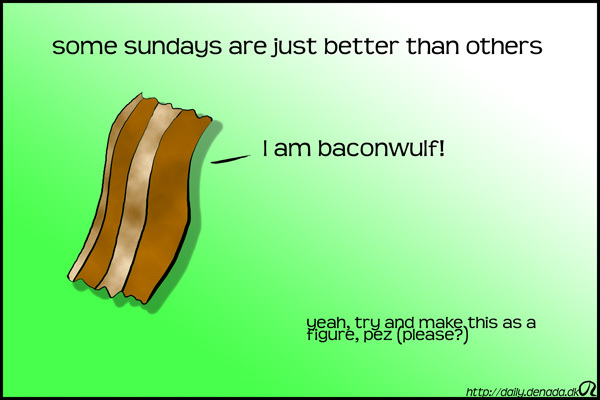 Good friends, Bacon & Beowulf. The cast is feasting. Now thats freaky. I saw Beowulf just last night.